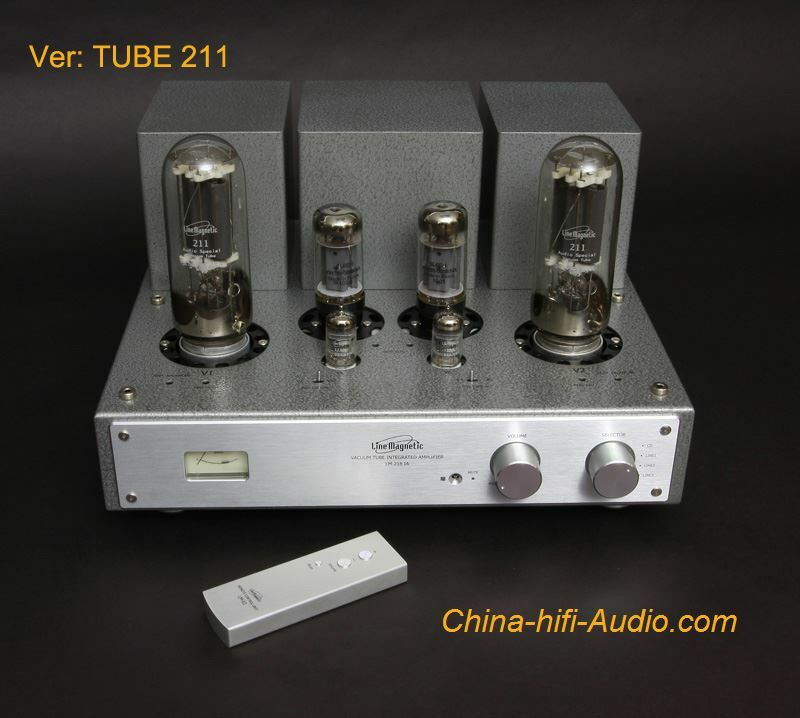 Line Magnetic LM-218IA 211 is an Hi-Fi Tube integrated Amplifier. 16 watts per channel, Single Ended Triode design, Pure Class A Integrated Stereo Amplifier with 211 output power tubes. All triode tube Integrated with 12AX7 input tubes for voltage amplification, 6P6P driver tubes and 211 output tubes.